Jen Queally and Genell Huston are excited to announce the unveiling of their first co-led teacher training. Join them, along with a collection of other awe-inspiring teachers and leaders for this collaborative learning experience. Step into the teachings of this ancient, yet continuously evolving practice. Cultivate studentship, leadership, and steeped connection. The Journey of a lifetime begins with a single YES! Whether your inspiration is to deepen your practice and understanding of yoga or share this ancient wisdom tradition with others, our Foundational 200 Hour Yoga Alliance Accredited Program will deliver. When the student is ready the teachers appear. We invite you…humble and sincere, passionate and compassionate students/teachers who feel the call to deepen and expand your understanding of what’s possible for the health and well-being of yourselves and our larger shared communities. Our belief is that we all deserve to be the best versions of ourselves and our YTT supports that mission. Ultimately, as we are all connected, this commitment is a gift to yourself that supports the health and overall wealth of our communities. Teaching yoga takes dedication, and consistency of personal practice. Our intention is to create a learning environment that encourages personal reflection, self understanding, self responsibility, and spiritual maturity within a grounded and connected context. Jen and Genell cultivate a strong and nourishing container for this adventure that is sure to be uplifting and life transformative. We will humbly and vulnerably share everything we know about yoga, Ayurveda, asana, meditation, and the cultivation of consciousness and conscious living. In Sanskrit, Lila means “spontaneous play” with a focus on effortless or playful expression. Imagine “heaven on earth” cultivated thru spiritual practice. Yoga is a healing art form and has the potential to transform lives by cultivating and nourishing spiritual maturity while bringing practitioners into greater integrity, joy, and balance in body, mind, and spirit. Our goal is to offer participants the guidance, knowledge, and tools necessary to feel confident offering quality, professional, safe and knowledgeable yoga in a variety of settings and for a variety of bodies. Learning how to play, have fun, connect, and give back! Jen Queally has been an enthusiastic student of yoga for 20 years, she was originally certified to teach in the Kripalu lineage in 1997. Jen believes wholeheartedly in the restorative benefits of yoga. Whether you are young or old, flexible or not, resistant or inspired, Jen welcomes all to join her on a spirited journey towards greater balance in body, mind, and spirit. She regards the yoga mat as a great laboratory for self reflection, discipline, and healing. 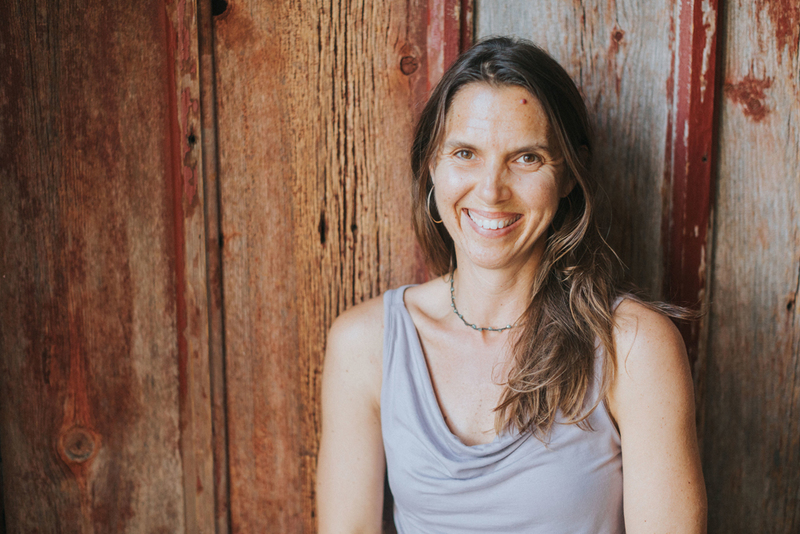 Jen has competed two Yoga Alliance teacher trainings, studies regularly with master teachers, and has taken several extensive pilgrimages to India. She is committed to integrating ancient wisdom to suit modern times. Having studied with some of the world’s master teachers in the Anusara, Jivamukti, Astanga, and vinyasa yoga systems, Jen is eclectic in style blending the best from many traditions. She offers a practice that awakens strength, balance, flexibility and a powerful mind/body connection. Expect detailed alignment cues encouraging breath initiated movement. Genell Huston studio owner, Hatha yoga teacher, mom, dedicated partner, and keen adventurer The practice of yoga has been inspiring her life since 1999 through movement, intention, reflection, deep study, practice, and bliss. She brings her bright personality, keen understanding of alignment, creative sequencing, and love for the practice of yoga + Ayurveda to each class. Expect to move with thoughtful engagement and to challenge yourself to be present with your breath and body throughout class. Genell sees yoga as a way of life; she believes in the practice involving and evolving into more than just asanas (physical postures). She continues to be inspired to grow her understanding of this lifestyle through daily practice, continued study with teachers locally and nationally learning about both physical and subtle aspects of the practice. In addition to yoga, Beginning in 2014, she began steeping deeply into the practices of Ayurveda, the sister science to yoga. Yoga + Ayurveda have provided a platform for Genell to further explore her relationship with her self, her community, and the natural world around. Both yoga and Ayurveda help her cultivate a daily rhythm that optimizes her connection to stay grounded and centered. The keen awareness, appreciation, dedication, challenge, joy, and respect that are cultivated through the poses and meditation on her mat are carried with her off her mat and into daily practice. Be it scraping her tongue, snuggling with her boys, running along the coast, laughing with friends, surfing the warm waves in Costa Rica, preparing nourishing meals, or getting a good nights rests, Genell sees that all the choices we make in each and every moment create our own reality, why not live a life with utmost zeal and deep presence. She believes that we all deserve to live into our greatest version of ourselves, and that these two practices have helped her step into her own greatness. 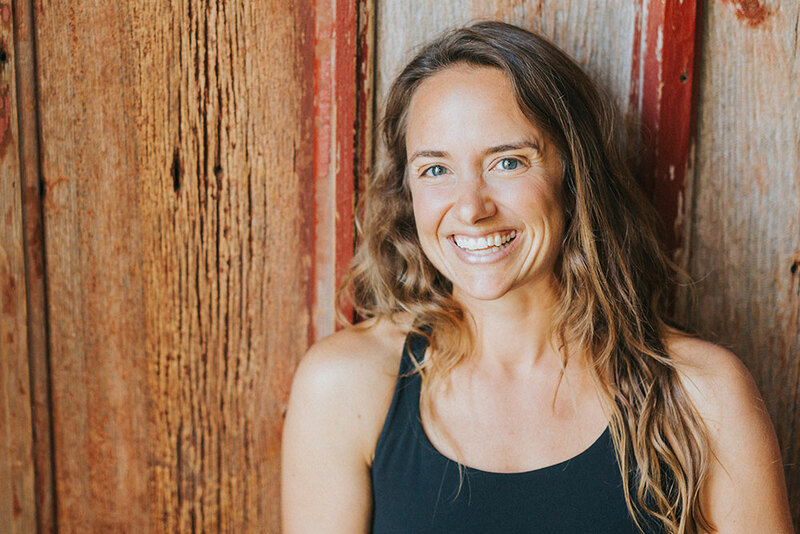 As studio owner and yoga teacher, she is thrilled to be able to offer the Portland community a space to practice and collectively celebrate our innate, playful, spirited selves through movement, meditation, and study of daily living and optimal health. Click HERE for the application link. Do I have to have practiced yoga before? We ask that you have some experience of being on your mat and in your body. We understand people will have varying levels of experience and all are welcome to apply. What is the weekend format? What if I can not make all of the sessions? In order to receive the 200 Hour Yoga Alliance Certification, attendance to sessions is mandatory. Our intention is that this will be an engaging and fun experience for all and we encourage everyone to put every effort into being present for the entirety of the training sessions. That said we understand that “life” happens. In circumstances of missed time, the student remains accountable to make up the content and hours missed. This can be done by arranging ahead of time to have a fellow student take notes on your behalf and/or to record missed sessions for you. It will be expected that you do your own study deeper into the content that will be covered during the sessions missed and that there is some written work to account for the integration of the main teaching points. All practice hours missed must be made up by attending asana (postural yoga classes) and meditation classes on your own time. Please account for your time by submitting an analysis of your experience. (Class Analysis Worksheet can be found in YTT manual). 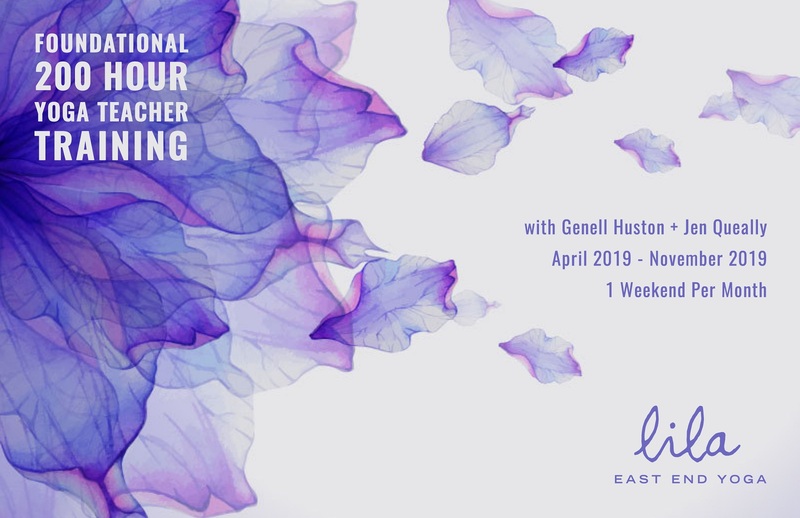 If necessary Jen, Genell, and other Lila teachers may be available to work with you individually under their private session fees (around $85 per hour). Jen Queally and Genell Huston along with guest teachers. Click here for complete details. The trainings will be held at Good Medicine, a wellness collective based on Portland’s West End. 231 York Street, Portland, ME. Meeting up on the 2nd floor in the movement space.